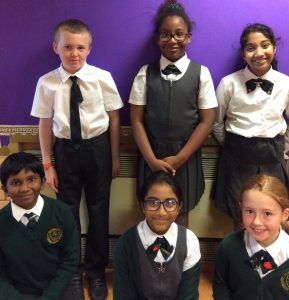 We are very proud to have elected our School Council. 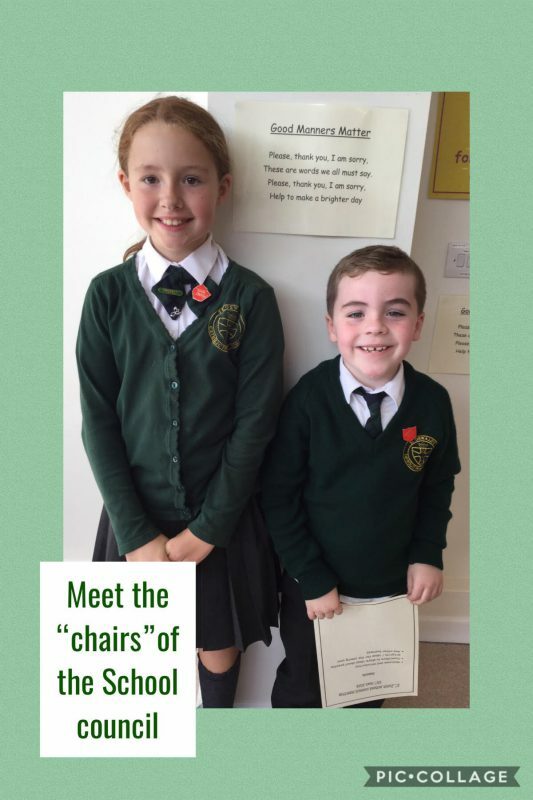 School Council meets on Wednesday afternoon to discuss issues and matters that affect school life. Each class has two representatives, who serve for the entire academic year. 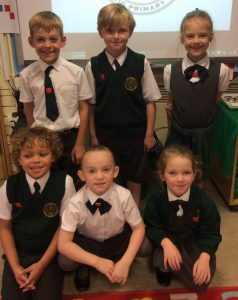 Our School Council currently meets as two separate bodies, Infants council and Junior council, and meeting together as a full school council once per half term. 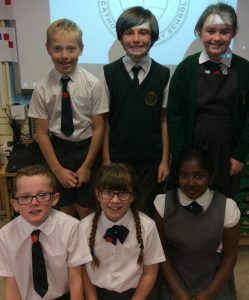 School council are currently working towards developing joint projects for the coming year and working through issues and solutions brought forward from each meeting. 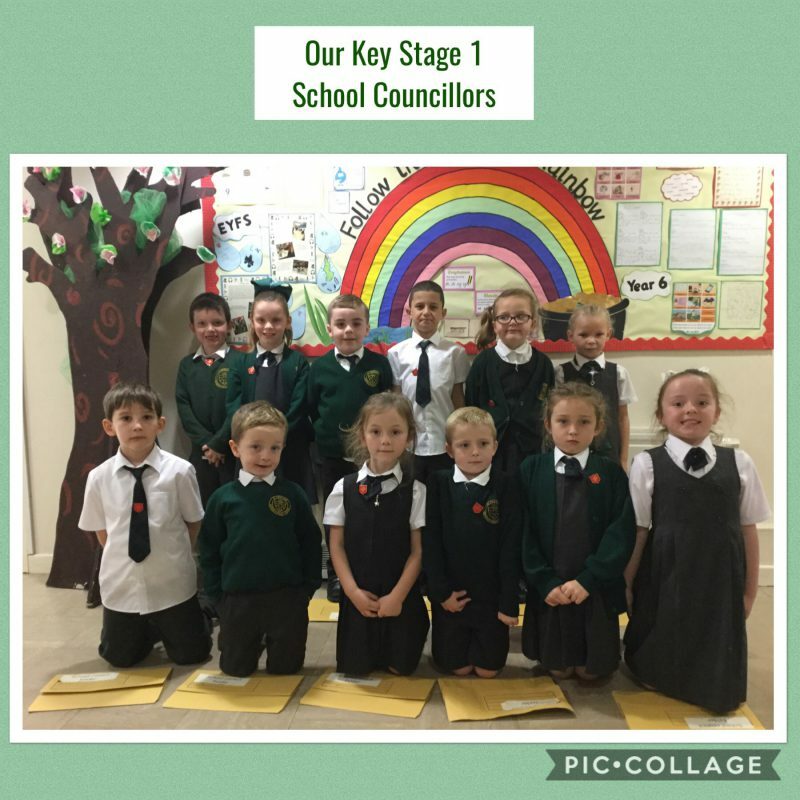 Thank you to everyone who put themselves forward for the role of School Council this year. We had lots of fantastic speeches, so well done to everyone who applied! 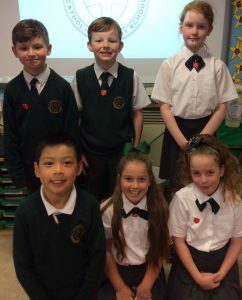 Well done to our new School Councillors, who were voted for by their peers, we have also recently had Reception voting and one chid from each class has now joined our school council. 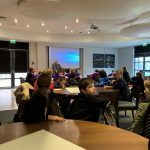 We enjoyed our day of learning and we can’t wait to take part in the next debating event! We then met as a joint council to discuss ideas for this year which we could become involved in. 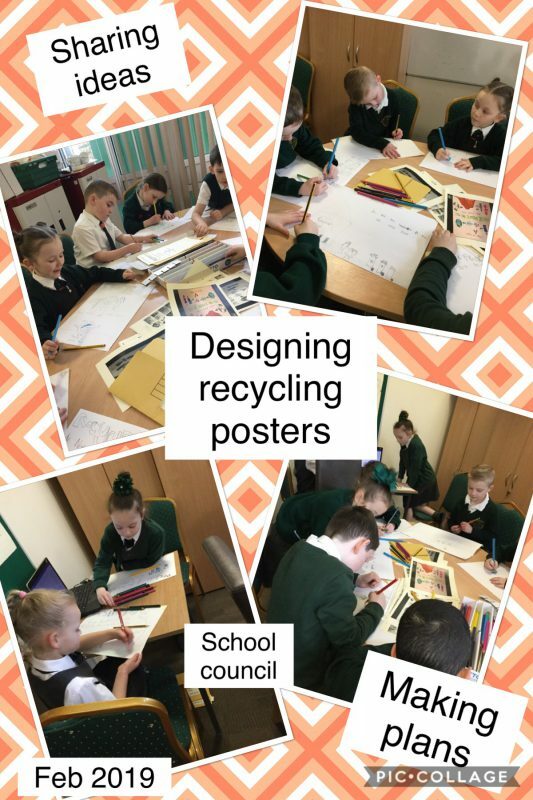 We decided to focus on the outdoor environment and recycling for our first projects. We entered a competition for £500 towards wildlife items for our outdoor area. 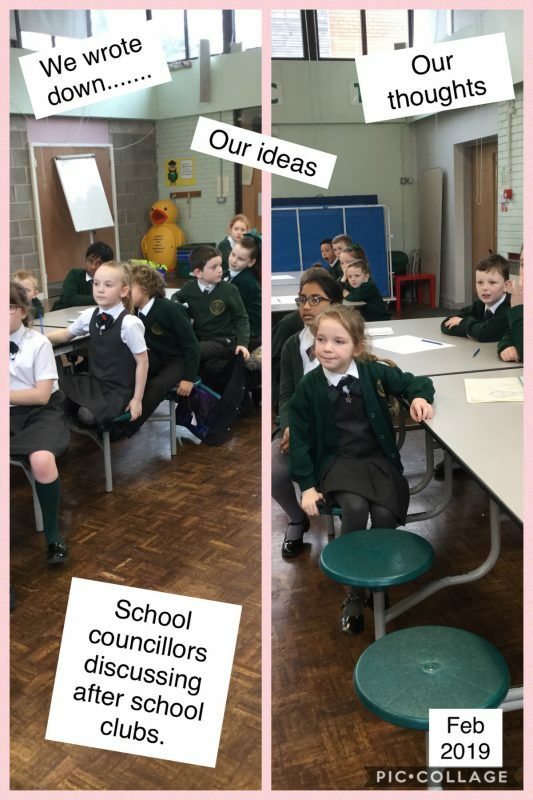 As a council, we discussed the items to decide which ones that would have the greatest benefit to our school. Our finance officers worked hard to find out which ones we could afford. 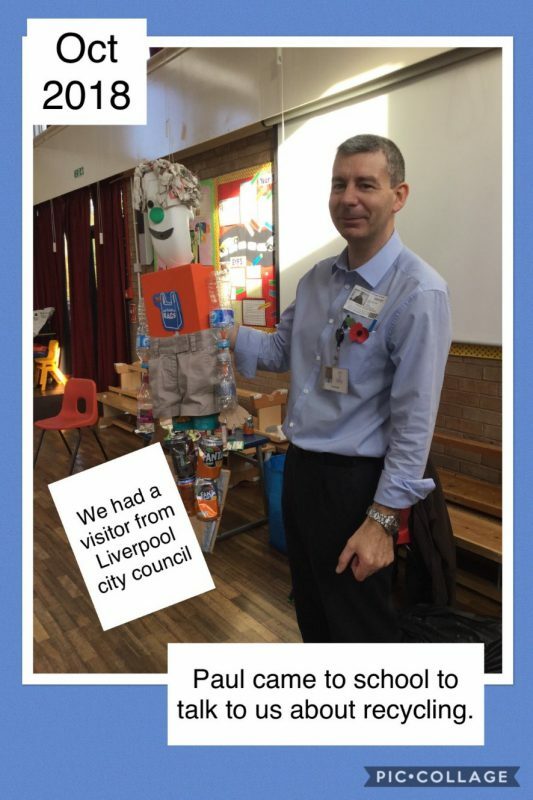 We welcomed Paul from Liverpool City Council into school to talk to us about recycling. 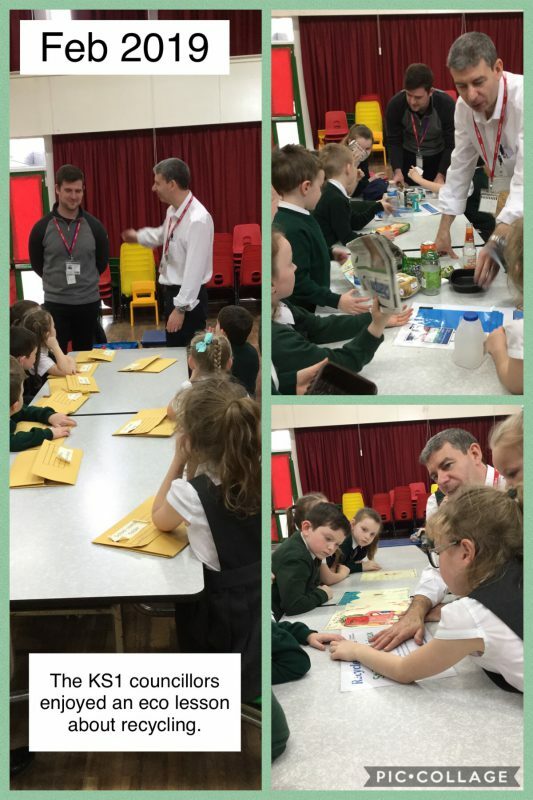 We all learnt lots! You can recycle paper and cardboard; glass jars and bottles; plastic bottles and tins. 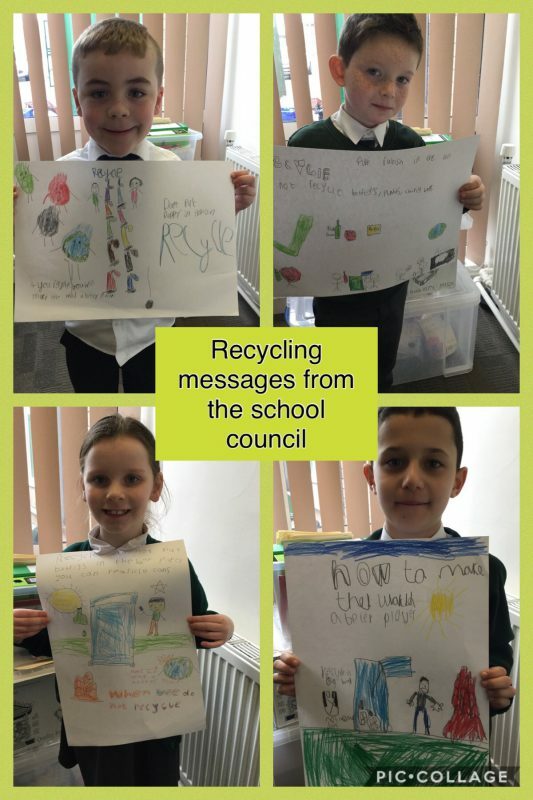 Paul showed us ‘Recycle Michael’ and gave us lots of good ways to help our local environment! We will be happy to see Paul again when he returns in to New Year to help us even more. 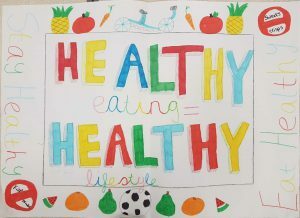 School council launched a healthy eating and lifestyles poster competition to promote this around school. 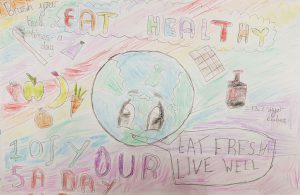 Children were asked to design a poster to promote this, with the winning entries being put forward to a national competition run by Aldi. We had lots of fantastic entries from across KS2 and we found it really hard to choose one winner! 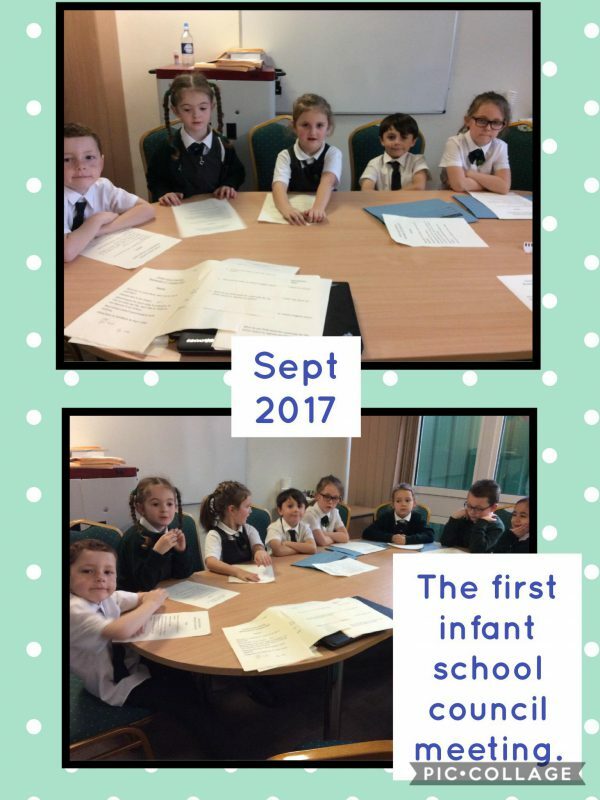 We decided that we would choose one from upper KS2 and one from lower KS2. 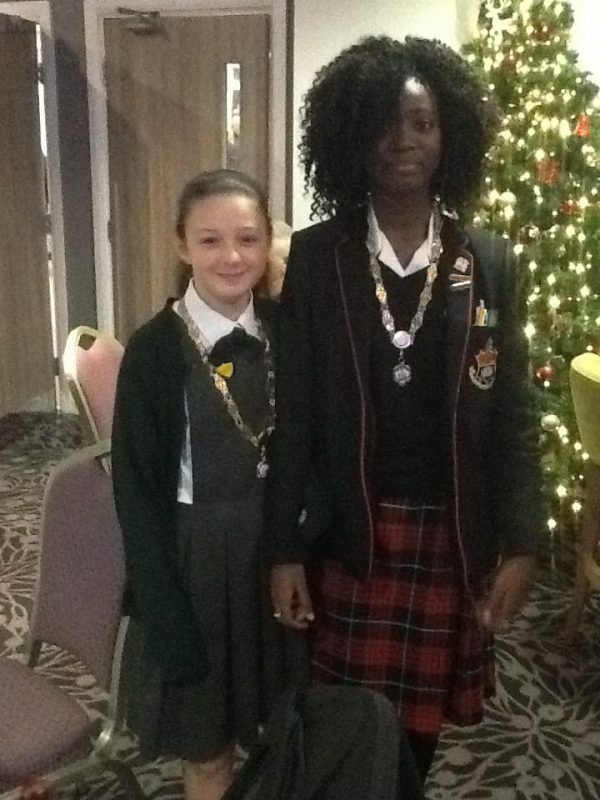 Our two winners were Summer from 6DN and Abbie from 4LY. Thank you to everyone who entered; your posters were all brilliant and gave us some very hard decisions! 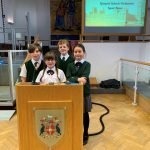 School’s Parliament gives the young people of Liverpool an opportunity to have a voice on matters within the city and to be heard by people of influence in the running of the city of Liverpool. 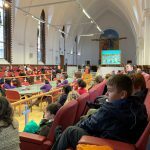 Meetings of School’s Parliament take place in the Council Chamber of Liverpool Town Hall. 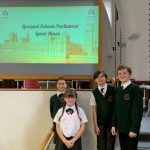 Liverpool Schools’ Parliament is an official committee of Liverpool City Council and all decisions made by the Parliament are passed on to Liverpool City Council. The Parliament meets as 2 separate Houses. The Upper House represents those young people aged 11-19 and the Lower House represents those aged 7-11. 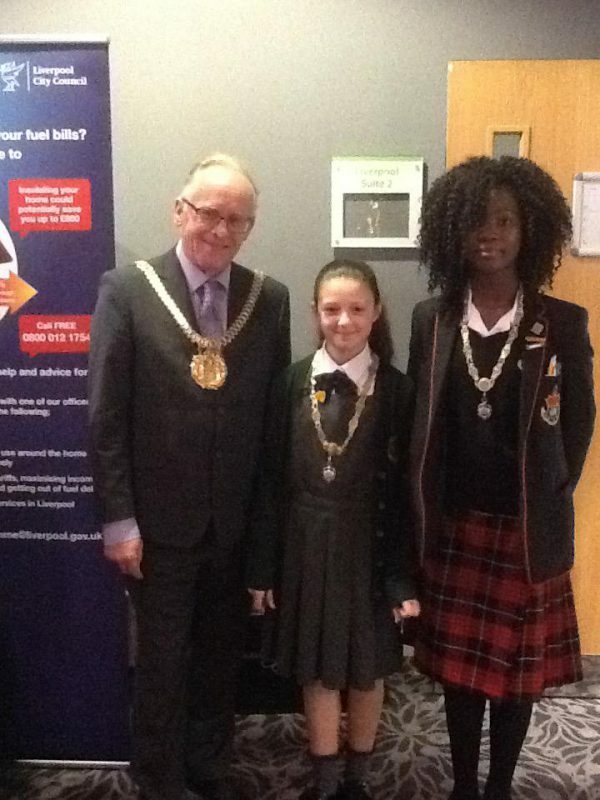 This was my first event as the Junior Lord Mayor. 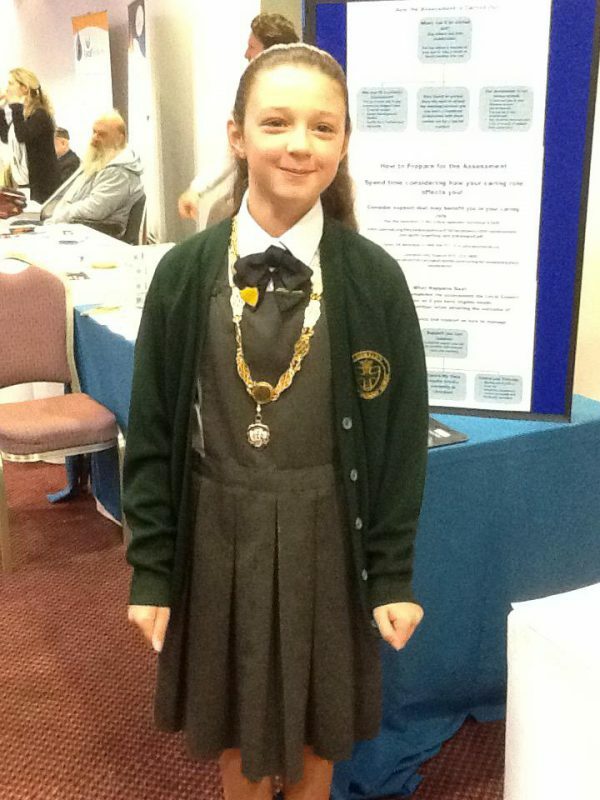 I attended this event with my mum Laura, my dad Nick and my little sister Annabelle. This was a wonderful event and I am very pleased I could attend. 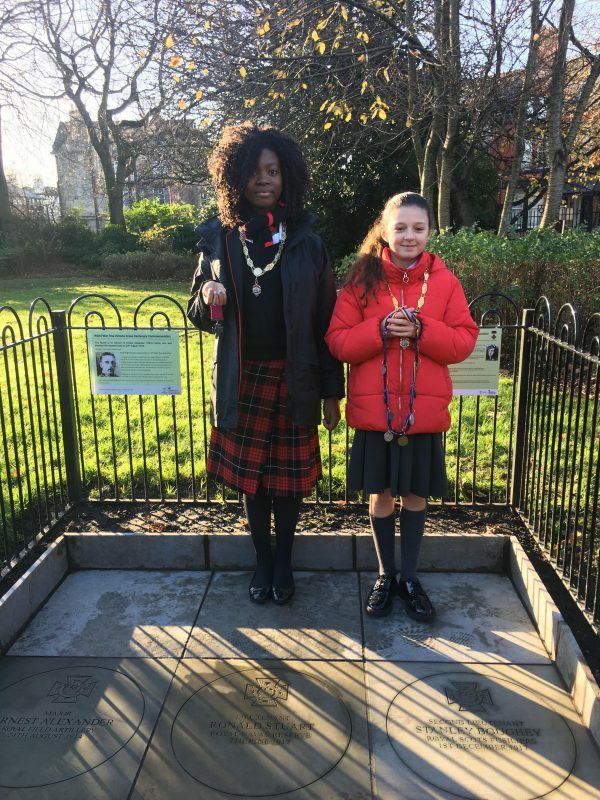 We were all honoured we could stand on those steps and I could lay a wreath for all of them people that fought for our country and brought peace to the world. As the two minute silence begun and ended, the poppies fell upon us. We really thought about the people who made our world how it is right now. 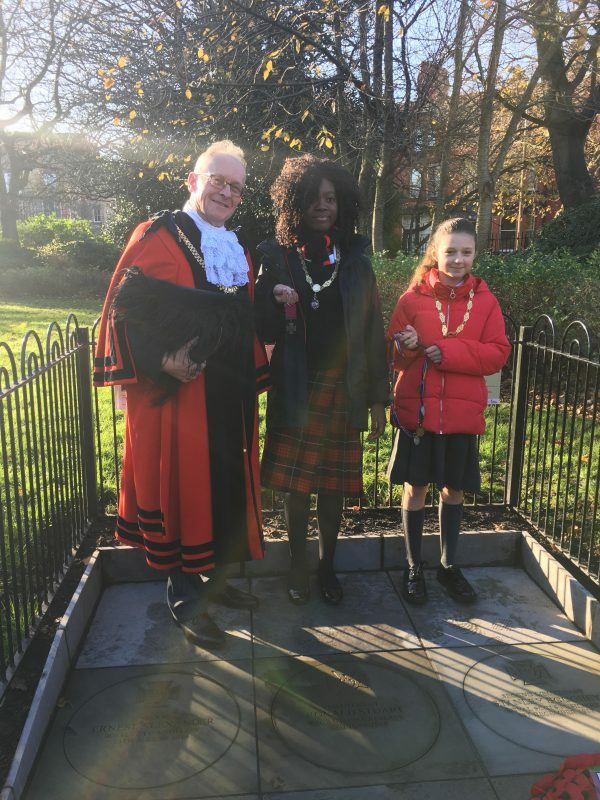 This was a wonderful event and I especially appreciated laying my wreath with the Lord Mayor. I really enjoyed this event. 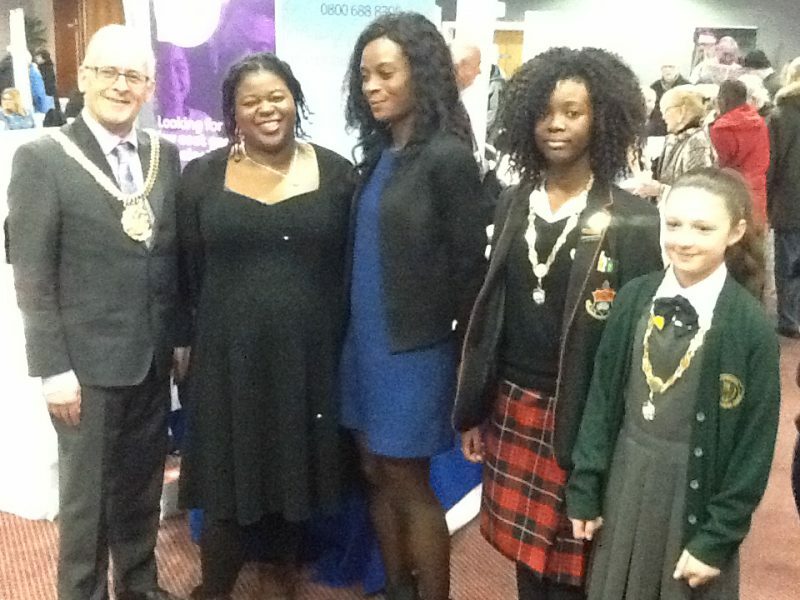 This event was held at the town hall in the Lord Mayor’s lounge and discussion room. In this event, there were many people there, including people who are Transgender. We discussed many things and the main issue was the rights to become Transgender and that they should all be treated equally no matter what they decided to do with their lives. Afterwards, we talked and ate biscuits. We then all went on the stairs with the Transgender flag for photos; two people were then elected to go on the roof and place the flag on the flag pole. I really enjoyed this event as it was very interesting. 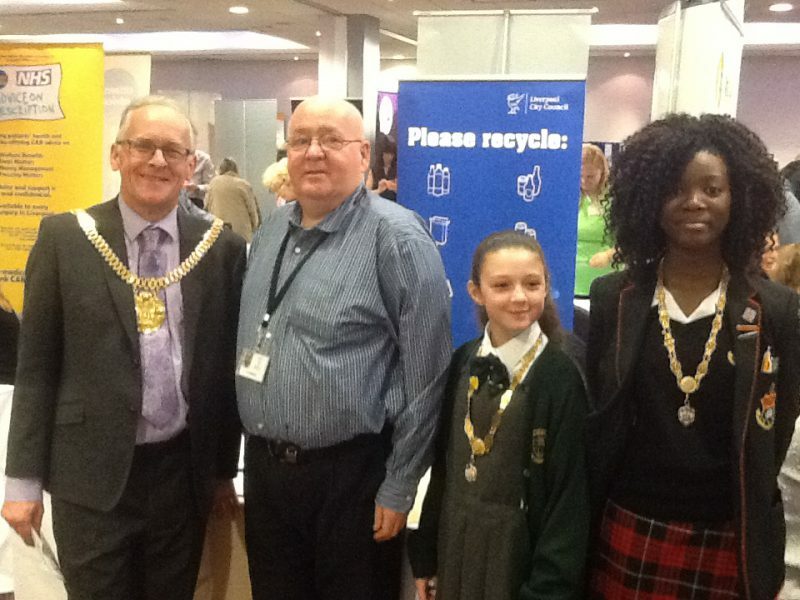 At this event, the Lord Mayor, Lady Mayoress, the Young Lord Mayor and I walked around all different stalls and each stall had different information on how older people can keep warm and safe in the winter time. 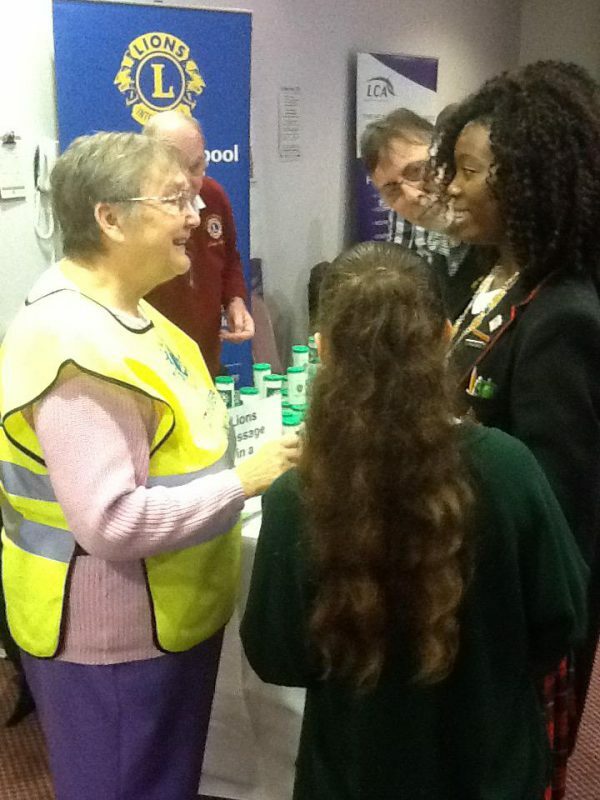 There were many free samples of things that can help, for example saving water and saving energy. They had timers for the shower and brushing your teeth, and floats to save water. I learnt many things and it was very helpful and informative. 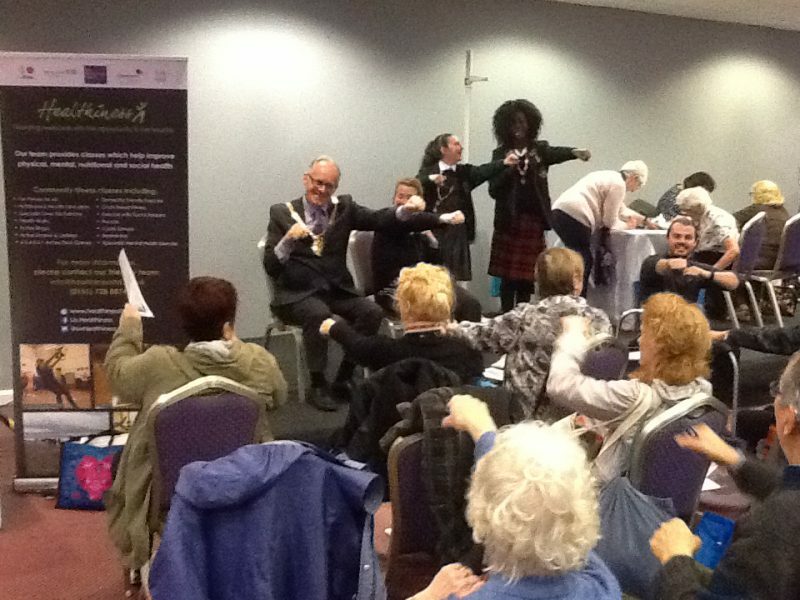 I had so much fun at this event and took part in many things such as a raffle and making a Christmas card. My sister and I saw Santa aswell! All of the money we gave in went towards Church Funds. We gave money on things like to see Santa for presents and for much more. 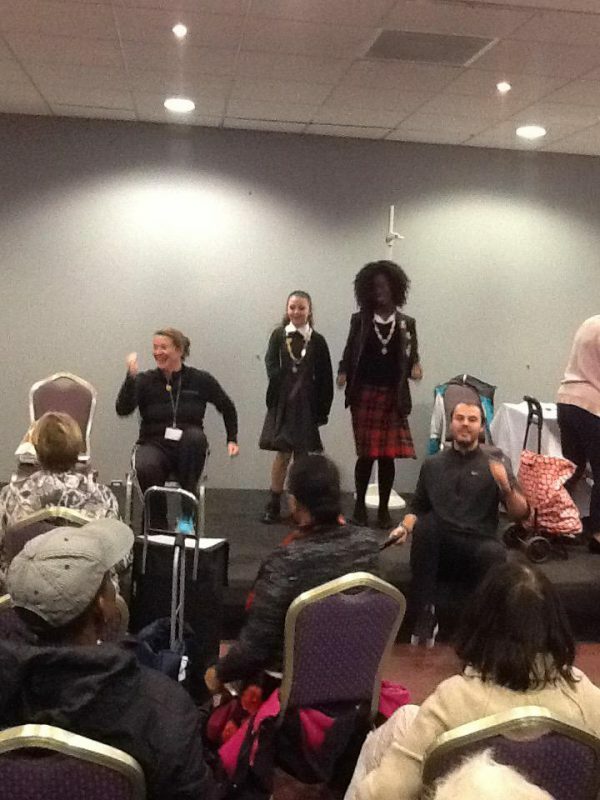 This event was enjoyed by my Nan, my little sister and I. 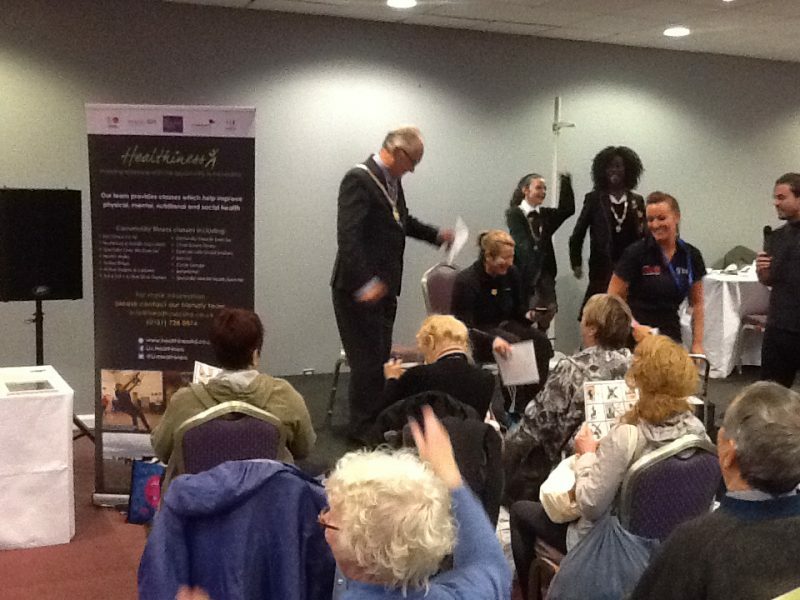 Many people were very happy that we could attend, especially the person who was running the whole event! 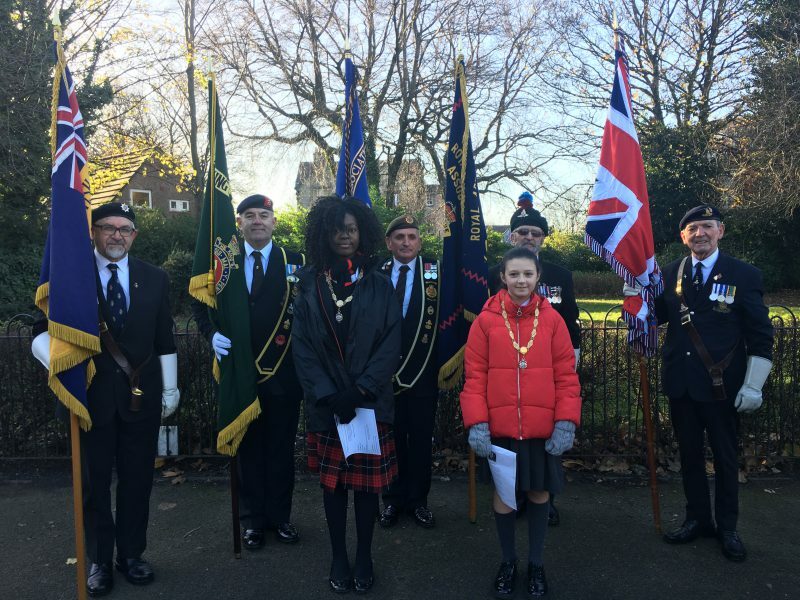 At this event Mrs Hall and I gathered alongside the Lord Mayor, Lady Mayoress and many more in Princess Park in memory of 2nd Lt Stanley Henry Parry Boughey. 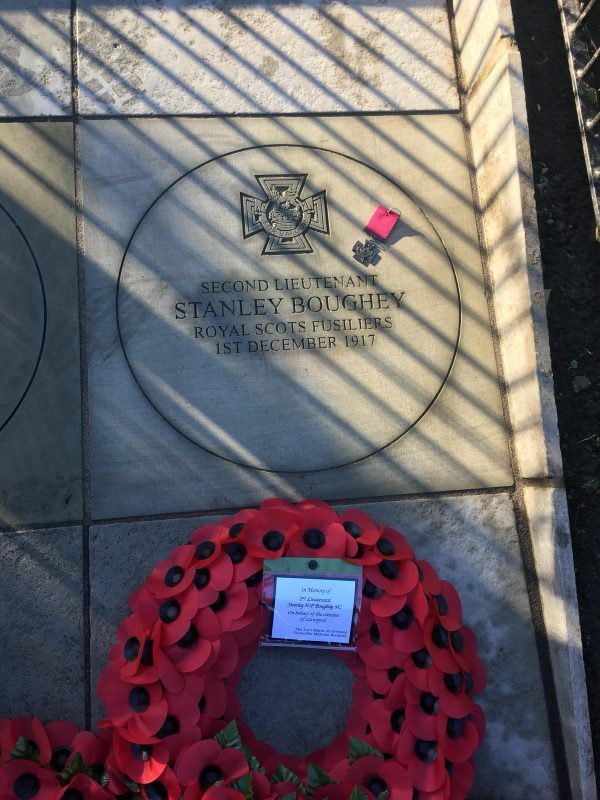 Many people who had a relationship of knowing Stanley said a speech and there was a two minute silence in honour of him. It was wonderful to come together one final time in order to pay respect to someone who fought for us and for our country. I really enjoyed my time as Junior Lord Mayor and would like to thank the Lord Mayor, Lady Mayoress and Jeff for their help and support through the month of November. I learnt lots and will never forget the experiences I was given. 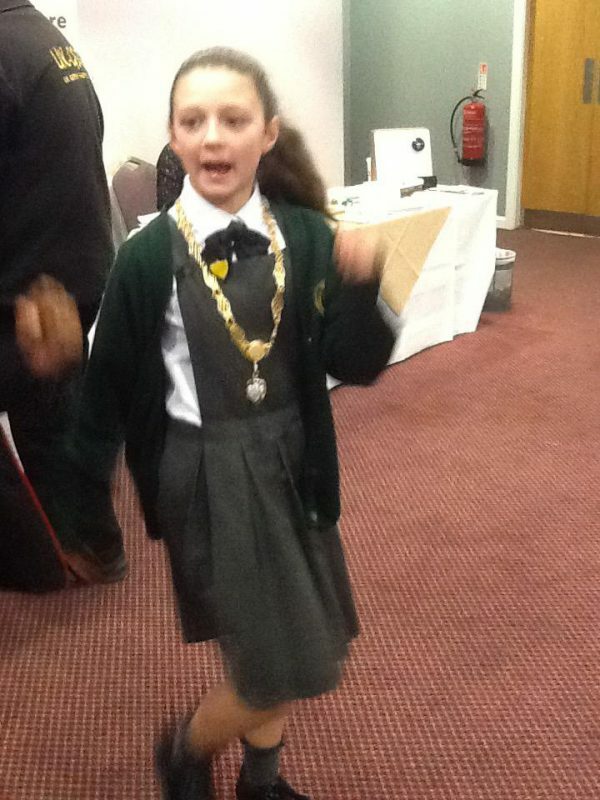 Good luck to the other Junior Lord Mayors for this year; you will love it!